Konni Zilliacus, was born on 13th September 1894. His father, Konni Zilliacus Senior, had been involved in the struggle to obtain the independence of Finland from Russia, and was at the time living in exile in Japan. His mother, Lilian Grafe, was from the United States. Zilliacus attended schools in Sweden, Finland and the United States. In January 1909 the family moved to England and Konni and his brother Laurin were sent to Beadles School near Petersfield. While at school Zilliacus became friends with the sons of Josiah Wedgwood. He spent several vacations at the Wedgwood home and it was here that he first developed an interest in politics. In 1912 Zilliacus entered Yale University where he studied science, social science and history. As soon as he graduated in 1915 he returned to England in order to take part in the First World War. He tried to join the Royal Flying Corps but was rejected because he was a Finnish citizen. He therefore enlisted as a medical orderly and served in a military hospital in France. After a year he was taken ill with diphtheria and was forced to return home. Shocked by what he had seen on the Western Front, Zilliacus joined the Union of Democratic Control. He also worked as an aide to Noel Buxton before becoming private secretary to Norman Angell. Zilliacus also wrote articles on foreign affairs for The Nation. In January 1918, Robert Cecil sent Josiah Wedgwood to gather intelligence concerning Bolshevik power and influence in Siberia. Wedgwood took Zilliacus with him as he could speak French, German, Italian, Swedish and Russian. When General Alfred Knox arrived in Vladivostok he appointed Zilliacus as his intelligence officer. Zilliacus disapproved of British intervention in the Russian Revolution and when Winston Churchill lied in the House of Commons about what was going on in Siberia, he leaked information to C. P. Scott at the Manchester Guardian and Leonard Woolf of the Daily Herald. On his return to London in December 1918, Zilliacus joined the Labour Party "because it was fighting intervention in Russia and stood for a sane peace settlement and a strong League of Nations." The following year he joined the League of Nations as a member of the Information Section of the League Secretariat. The League had no armed forces and had to rely on boycotts (sanctions) to control the behaviour of member states. In January 1923 France occupied the Ruhr. Six months later Italy bombed the Greek island of Corfu. When the League of Nations discussed these events, the governments of France and Italy threatened to withdraw from the organization. As a result, the League of Nations decided not to take any action. Zilliacus wrote to his friend Norman Angell: "I feel depressed and fed up. Who could have imagined things would turn out as badly as this?" In 1924 the League of Nations was given a boost when James Ramsay MacDonald, Arthur Henderson and Edouard Herriot, leading politicians in Britain and France, visited Geneva in 1924. Hugh Dalton, wrote enthusiastically, "The League seemed to have come to life again, and to have gained a new significance." The League of Nations also had success in adverting wars in the border disputes between Bulgaria-Greece (1925), Iraq-Turkey (1925-26) and Poland-Lithuania (1927). It also had noticable success in the areas of drugs control, refugee work and famine relief. In 1931 Philip Snowden, the Chancellor of the Exchequer, suggested that the Labour government should introduce new measures to balance the budget. This included a reduction in unemployment pay. Several ministers, including Arthur Henderson, George Lansbury and Joseph Clynes, refused to accept the cuts in benefits and resigned from office. Ramsay MacDonald was angry that his Cabinet had voted against him and decided to resign. When he saw George V that night, he was persuaded to head a new coalition government that would include Conservative and Liberal leaders as well as Labour ministers. Most of the Labour Cabinet totally rejected the idea and only three, Jimmy Thomas, Philip Snowden and John Sankey agreed to join the new government. In October, Ramsay MacDonald called an election. The 1931 General Election was a disaster for the Labour Party with only 46 members winning their seats. Zilliacus was completely opposed to the National Government. He was especially opposed to its foreign policy and argued "that they are not only making the next war inevitable, but losing it before it has begun." The League of Nations faced a fresh crisis in September 1931 when the Japanese Army occupied large areas of Manchuria, a province of China. The Chinese government appealed to the League of Nations under Article 11 of the Covenant. China also appealed to the United States as a signatory of the Kellogg Pact. Eventually it was agreed that the League of Nations would establish a commission of inquiry under the chairmanship of Lord Lytton. The Lytton Report was published in October 1932. The report acknowledged that Japan had legitimate grievances against the Chinese Government. However, the report condemned the Japanese invasion of Manchuria and refused to recognise Manchukao as an independent state. When the League adopted the report Japan resigned from the organization. Zilliacus continued to campaign in the Labour Party for the League of Nations. He became a close advisor to Arthur Henderson and helped to influence the views of Clement Attlee, Hugh Dalton and Walter Citrine. Zilliacus, along with Philip Noel-Baker, also helped Henderson write the book Labour's Way to Peace (1934) and the foreign policy section of Labour's 1935 election manifesto For Socialism and Peace. Zilliacus believed that Germany and Italy posed the greatest threat to world peace. He argued for the creation of an "inner ring" of states within the League of Nations, led by Britain, France and the Soviet Union. He also proposed the election by proportional representation of a new international debating chamber of the League. His views influenced some leading British politicians such as Arthur Henderson, Clement Attlee, Herbert Morrison and Hugh Dalton, but the idea was rejected by the government led by Stanley Baldwin. In October 1935 Benito Mussolini sent in General Pietro Badoglio and the Italian Army into Ethiopia. The League of Nations condemned Italy's aggression and in November imposed sanctions. This included an attempt to ban countries from selling arms, rubber and some metals to Italy. Some political leaders in France and Britain opposed sanctions arguing that it might persuade Mussolini to form an alliance with Adolf Hitler and Nazi Germany. Over 400,000 Italian troops fought in Ethiopia. The poorly armed Ethiopians were no match for Italy's modern tanks and aeroplanes. The Italians even used mustard gas on the home forces and were able to capture Addis Ababa, the capital of the country, in May 1936, forcing Emperor Haile Selassie to flee to England. Zilliacus was devastated by the League's failure to prevent Italy conquering Ethiopia. He was also angry about the League's failure to influence events during the Spanish Civil War. Zilliacus personally supported the right of the Republican Government to purchase arms in defence of the open intervention of Germany and Italy in the conflict, arguing that the struggle was "a further development of the international fascist offensive against socialism and democracy." In September 1936 Zilliacus wrote to Philip Noel-Baker that Non-Intervention was "merely Citrine and co's first steps to committing the Labour Movement to a United Front with the Tories in preparing for the next world war... I've known for sometime that Citrine and Gillies were in the pockets of the Foreign Office." The following year he wrote again to Noel-Baker arguing that "the Labour Party's continual fiddling with Non-Intervention is getting beyond a joke" and because of this policy it had "Spanish workers' blood on its hands." In the 1930s Zilliacus wrote a series of books and pamphlets about foreign affairs. As he was an official of the League of Nations he wrote under the pen-name Vigilantes. This included The Dying Peace (1933), Abyssinia (1935), Inquest on Peace (1935) and The Road to War (1937). The last two books were published by Victor Gollancz and his Left Book Club. In September 1938, Neville Chamberlain, the British prime minister, met Adolf Hitler at his home in Berchtesgaden. Hitler threatened to invade Czechoslovakia unless Britain supported Germany's plans to takeover the Sudetenland. After discussing the issue with the Edouard Daladier (France) and Eduard Benes (Czechoslovakia), Chamberlain informed Hitler that his proposals were unacceptable. Benito Mussolini suggested to Adolf Hitler that one way of solving this issue was to hold a four-power conference of Germany, Britain, France and Italy. This would exclude both Czechoslovakia and the Soviet Union, and therefore increasing the possibility of reaching an agreement and undermine the solidarity that was developing against Germany. The meeting took place in Munich on 29th September, 1938. Desperate to avoid war, and anxious to avoid an alliance with Joseph Stalin and the Soviet Union, Neville Chamberlain and Edouard Daladier agreed that Germany could have the Sudetenland. In return, Hitler promised not to make any further territorial demands in Europe. Adolf Hitler, Neville Chamberlain, Edouard Daladier and Benito Mussolini now signed the Munich Agreement which transferred the Sudetenland to Germany. The League of Nations remained silent on the invasion of Czechoslovakia. Zilliacus now resigned from the Secretariat in protest against the way the matter had been dealt withby the League. He wrote at the time that "the League was dead and the fight was now at home. I knew there was no hope any longer, that no power on earth could avert war." Over the next few months Zilliacus wrote two pamphlets about the crisis in Europe, Why the League Has Failed (1938) and Why We Are Losing the Peace (1938). He also attacked Neville Chamberlain and his foreign policy in Appeasement and Armageddon (1939). During the Second World War Zilliacus worked in the censorship division of the Ministry of Information. His main responsibility was to censor the reports written by Swedish journalists based in Britain. After the Soviet Union entered the war on the side of the Allies he also worked for the Ministry of Information's Soviet Relations Department. Zilliacus was also a member of the Home Guard in London and a regular contributor to Tribune. Zilliacus was also a member of the 1941 Committee. One of its members, Tom Hopkinson, later claimed that the motive force behind the organization was the belief that if the Second World War was to be won "a much more coordinated effort would be needed, with stricter planning of the economy and greater use of scientific know-how, particularly in the field of war production." Other members of the group included J. B. Priestley, Edward G. Hulton, Kingsley Martin, Richard Acland, Michael Foot, Peter Thorneycroft, Thomas Balogh, Richie Calder, Tom Winteringham, Vernon Bartlett, Violet Bonham Carter, Victor Gollancz, Storm Jameson and David Low. Zilliacus stood as the Labour Party candidate in Gateshead in the 1945 General Election. He won 36,736 votes and had a majority of 17,719 majority over Thomas Magnay (National Liberal). In the House of Commons Zilliacus was a great supporter of the United Nations and urged it to get involved in settling the political disputes in Cyprus, India, Indonesia, and Iran. In the House of Commons Zilliacus associated with a group of left-wing members that included John Platts-Mills, Ian Mikardo, Lester Hutchinson, Leslie Solley, Sydney Silverman, Geoffrey Bing, Emrys Hughes, D. N. Pritt, William Warbey, William Gallacher and Phil Piratin. Zilliacus continued to write articles on foreign affairs for a variety of radical newspapers and magazines including Reynold's News, Daily Herald, Daily Worker, Tribune, and New Statesman. Zilliacus was highly critical Ernest Bevin, Britain's foreign minister: In a speech in March 1946 he criticized the decision to spend one third of the national budget on defence. He then went on to point out: "Since the general election there has been no sign of any realistic insight into what is happening in the world, no sober appraisal of our own position or the limitations of our power ... We have sunk into ancient ruts, running back to the nineteenth century, and punctuated by two world wars. We are trying to make the ghost of Palmerston walk again." The following year Zilliacus joined Richard Crossman, Michael Foot and Ian Mikardo to produce Keep Left. In the pamphlet the authors criticized the cold war policies of the United States and urged a closer relationship with Europe in order to create a "Third Force" in politics. This included the idea of nuclear disarmament and the formation of a European Security Pact. Zilliacus travelled widely in Europe and in 1949 met Joseph Stalin and Josip Tito. He disliked the Soviet leader and told his wife: "There is not a scrap of humanity in Stalin." He got on well with Tito and gave him his full support in his struggle to obtain the independence of Yugoslavia from the Soviet Union. In April 1948 John Platts-Mills organized a petition in support of Pietro Nenni and the Italian Socialist Party in its general election campaign. He gained support from 27 other MPs including Zilliacus. This went against government policy and Platts-Mills was expelled from the party and Zilliacus was warned about his future conduct. He was sent a letter by the Labour Party's National Executive Council listing examples of how his speeches and writings had included "attacks on the Labour Government's foreign policy." Zilliacus replied that it was his "prime duty as a Member of Parliament to stick to the foreign policy statements and pledges on which I fought the general election." Ernest Bevin signed the North Atlantic Treaty in Washington on 4th April 1949. Zilliacus completely opposed the treaty arguing that it went against the charter of the United Nations, would accelerate the arms race and make it more difficult to achieve a united Europe. On 12th May, 1949, Zilliacus was only one of only six Labour MPs to vote against the signing of the NATO treaty. Four days later Zilliacus, along with Leslie Solley, were expelled from the Labour Party. At the Labour Party Annual Conference held in Blackpool the following month, delegates appealed for the National Executive Council to reverse its decision on expelling Zilliacus and Solley. Geoffrey Bing argued that MPs must be allowed to have the freedom to express their true opinions on political issues. Sydney Silverman added that if the Labour Party expelled Zilliacus and Solley for "exercising the right of dissent, we shall be doing damage to the cause of social democracy." Zilliacus and the other four expelled Labour MPs, John Platts-Mills, Leslie Solley, D. N. Pritt and Lester Hutchinson formed the Labour Independent Group. However, Zilliacus broke with this group in 1949 when they supported Joseph Stalin in his criticisms of Josip Tito and his government in Yugoslavia. In October 1949 Zilliacus published I Choose Peace. In the book he traced the history of the Cold War, starting with the Allied invasion of Russia in 1918. To bring an end to the division in Europe he advocated withdrawal from NATO, direct negotiations with the Soviet Union, and closer links with other governments in Eastern Europe. In the 1950 General Election Zilliacus stood as a Labour Independent candidate in Gateshead. Although people such as George Bernard Shaw and J. 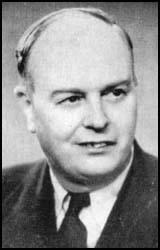 B. Priestley campaigned for him, he won only 5,001 votes compared to the 15,249 achieved by Arthur Moody, the official Labour Party candidate. When the Labour government was defeated in 1951 General Election, left-wing critics of Britain's foreign policy were no longer seen as dangerous political figures. Zilliacus was readmitted to the Labour Party in February 1952 and soon afterwards he was adopted as the prospective candidate for Gorton, an industrial suburb of Manchester. In the 1955 General Election Zillacus won the seat by 269 votes. On 2nd November, 1957, the New Statesman published an article by J. B. Priestley entitled Russia, the Atom and the West. 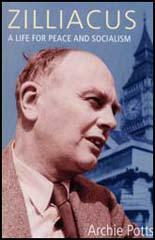 In the article Priestley attacked the decision by Aneurin Bevan to abandon his policy of unilateral nuclear disarmament. The article resulted in a large number of people writing letters to the journal supporting Priestley's views. Kingsley Martin, the editor of the New Statesman, organized a meeting of people inspired by Priestley and as result they formed the Campaign for Nuclear Disarmament (CND). Early members of this group included Zilliacus, J. B. Priestley, Bertrand Russell, Fenner Brockway, Frank Cousins, Frank Allaun, Donald Soper, Vera Brittain, Sydney Silverman, James Cameron, Jennie Lee, Victor Gollancz, Konni Zilliacus, Richard Acland, A. J. P. Taylor, Canon John Collins and Michael Foot. In February 1958 Zilliacus joined Stephen Swingler, Jo Richardson, Harold Davies, Ian Mikardo, Walter Monslow and Sydney Silverman, to form Victory for Socialism (VFS). Soon afterwards Zilliacus wrote the VFS its first pamphlet, Policy for Summit Talks. In the pamphlet Zilliacus argued in favour of Britain ceasing to be a nuclear power and using its influence to replace NATO and the Warsaw Pact by an all-European security treaty. Zilliacus continued to upset the Labour Party with his political opinions. In February 1961 was suspended for writing an article for a magazine based in communist controlled Czechoslovakia. An attempt was made to get Zilliacus reinstated. This was led by Tom Driberg, a member of the National Executive Committee, however, his suspension was not lifted until September 1961. Zilliacus, like others on the left, was against Britain joining the European Economic Community (EEC). He argued that this the EEC would divide rather than unite Europe and that it was "part of the cold war policy that had produced NATO." In 1965 Zilliacus joined Michael Foot, John Mendelson, William Warbey, Russell Kerr, Anne Kerr, Norman Atkinson, Stan Newens, and Sydney Silverman in protesting against American intervention in Vietnam. However, Zilliacus and his friends were unable to persuade the Labour prime minister, Harold Wilson, to condemn US policy on Vietnam. Konni Zilliacus died of leukemia at St Bartholomew's Hospital on 6th July 1967. I emerged from this childhood background with two ideas and a piece of unconscious knowledge lodged firmly in my mind: first, that some day there was going to be a revolution in Russia, and this would be something great and good to which all liberal and civilized people looked forward. Second, that the Russians were a backward, barbarous and semi-Asiatic people, from whom the rest of the world had nothing to learn politically, although the Revolution should free the Finns and Poles and enable the Russians to start catching up with the West. I have occasionally been called a Bolshevik because I always predicted the failure of intervention, because I sometimes find it difficult to speak with moderation of the moral aspects and practical results of the Allies' Russian policy, and because I belong to the Labour Party. I am not however a communist, or even a Socialist except in a very vague and unorthodox way, and I am not a believer in direct action, let alone the 'dictatorship of the proletariat' or a bloody revolution. In general, I do not think Russian political experience can afford any but very indirect lessons to England. The war was the death struggle of our civilization. Just as the final result of the French Revolution and the Napoleonic wars was the rise of the middle class, the Russian Revolution will be the rise of Labour and internationalism. As for being a Marxist, I am at best an empirical pragmatic self-made semi-Marxist, for such reading I have done has been to eke out experience and first-hand impressions, and to help arrive at an understanding of intimately apprehended events. The Liberal Government of 1906-14 helped to make the World War inevitable by its power politics and Imperialism. But it did play power politics well enough to ensure that when war came we had a united nation, a united Europe, half the world on our side, and a cause that at least looked good. Whereas the 'National' Government are playing power politics with such crass incompetence that they are not only making the next war inevitable, but losing it before it has begun. They are rapidly producing a situation where we shall find ourselves at war almost single-handed against all three Fascist dictatorships. Can't you Liberals really see that the Communists are trying - by violent, wasteful and if you like mistaken means - to bring about social and economic changes that must come, and that Fascism is an attempt by violence to hold back the forces of social change? We Socialists care as much as you Liberals for democracy and freedom, but we realize that today, in the face of terrible danger of Fascist aggression, the Communists are allies and not enemies, as is being shown in Spain. (6) Konni Zilliacus wrote about the Spanish Civil War and the League of Nations in his unpublished autobiography, Challenge to Fear. The realistic conclusion is that the Soviet Union is not an earthly paradise and the Bolshevik Party are not the infallible and inspired leaders of the world proletariat, a model to be slavishly copied. We must stand on our own feet and think things out for ourselves. But neither is the Russian Revolution a dead loss, a total failure. The revolution has not yet said its last word. When the power and prestige of Fascism are broken in this war and a wave of revolution spreads across Europe the current in Russia will once more set towards democracy and international cooperation - but when it does it will have to break down some pretty hard obstacles. Meanwhile, Western Socialists while repudiating Russia as the Socialist fatherland and Stalin as their leader should learn to regard the USSR as a great power which is a first-class factor in world affairs and with which it is of literally vital importance to come to terms on the broadest possible basis - a commercial treaty, a non-aggression pact, a free hand for the Soviet Union in Eastern Europe and an agreement on The foreign policy to be pursued in the Far East and with regard to the anti-Fascist involvement in Europe and the peace settlement. Only a British Government friendly to Socialism can join effectively in making peace in Europe. Throughout Europe the overthrow of Fascism has meant the downfall of capitalism, because the political parties of the Right and the leaders of trade and industry, with a few exceptions, have been associated with the Fascist and Quisling dictatorships and Hitler's economic system. Throughout Europe, the resistance movements derive their main strength from the workers and their allies, and are largely under Socialist and Communist leadership. Their reconstruction programmes are based on sweeping advances towards Socialism. Europe can be reconstructed, pacified and united, and democracy can be revived, only on the basis of a new social order. To that policy the Soviet Union are already committed, and the French people have given their allegiance in the recent elections. On that basis a Labour Government can work together with the Soviet Union and with the popular and democratic forces in Europe that would be irresistibly encouraged by Labour's coming into power. That combination of states, bound together by such purposes and policies, would be so strong and so successful as to attract the friendship and cooperation of the American and Chinese peoples. On these lines Labour would put granite foundations under the flimsy scaffolding erected at the San Francisco Conference, and take the lead in building a world organisation capable of guaranteeing peace and promoting the common interests of nations. (9) Konni Zilliacus wrote about Ernest Bevin and Hugh Dalton in his unpublished autobiography, Challenge to Fear. He (Bevin) was a great working class leader with a fine record. But he was tragically miscast as Labour's Foreign Secretary in 1945. For he did not have a due to the problems facing him. He was too old and set in his ways to learn. Or rather, to unlearn and then learn afresh: that is, to do the kind of painful thinking that goes down to one's own prejudices and assumptions, tests them in the light of reason and facts, and then works out a policy that is genuinely 'realistic' because it is rooted in reality and not to an out-of-date conception of the world in which we are living, and harnessed to Labour's view of the national interest and not to that of the defenders of the old order. Hugh Dalton would have been far better, first of all because he really did know a lot about foreign affairs; secondly because he knew how to manage the Foreign Office officials, instead of being run by them; thirdly, because he was capable of learning from experience and correcting his mistakes; fourthly because he would listen to the views of back bench colleagues instead of treating any criticism or comments as an insult and relying on blind trade union loyalties and the power of the block vote to impose on the Labour Party the Churchillian policies that the Foreign Office had induced him to adopt. Mr. Zilliacus is not a man to be ignored. I knew him in Geneva during his long connection with the League of Nations. He is the only internationally-minded member of any note in the House of Common. His queer name and extraordinarily composite nationality, backed by his supernational outlook and unique experience, to say nothing of his friendly and democratic private character, made him a marked figure in Geneva. He is a man who must be attended to and his question answered if another fiasco like that of Versailles and its sequel in 1939-45 is to be averted. One third of Britain's budget is on defence. I suggest that the price is too high ... I think that we can render better service to peace by scaling down our armaments to the point where we are solvent and can get on with our Socialist reconstruction, rather than by lowering the standard of living of our people and staggering into national bankruptcy under the burden of huge armaments. Since the general election there has been no sign of any realistic insight into what is happening in the world, no sober appraisal of our own position or the limitations of our power ... We have sunk into ancient ruts, running back to the nineteenth century, and punctuated by two world wars. We are trying to make the ghost of Palmerston walk again. I hold it is my prime duty as a Member of Parliament to stick to the foreign policy statements and pledges on which I fought the general election and to do all I can to secure compliance with those pledges. I know I must appear an awkward and self-righteous sort of beggar. But I don't do it for fun. As I see it, this is the fight for peace that I have been waging for most of my life and that has long become inseparable from Socialism and world government. I don't want to fight our side - apart from sentiment, after thirty years in the Labour Party, which is more than a party, I don't believe there is any other political instrument that can do the job. I want to fight the Tories. But in foreign affairs as things are, it is almost impossible to go for the Tories without having a slam at our leaders. But I hope that in the light of this memorandum and after the meeting the Committee may feel reassured and able to report accordingly to the NEC. It is obvious that the conception of civil liberties in Russia is not at all the same as ours. If there are still people among those present who show any surprise on hearing this, or ignore this fact, I am certainly not one of them. Frankly I believe that it will need at least another thirty years before countries where there has been a social revolution, including Soviet Russia, can accept a conception of individual liberty and rights of political minorities, such as exists in our countries. This can only take place if a policy of friendship towards such countries is pursued ... If one talks of war, of intervention, it is evident that such regimes will react and mobilise. And as a result the misdeeds of the police state will increase. The more we arm the more we increase fear and suspicion. The more we increase armaments, the less strong we feel ourselves and the more we feel the other fellow strength. In order to sustain the burden and sacrifice of the arms race one has to foment and sustain a psychological condition in the people who are bearing he strain, that unfits them for peacemaking ... So much for the Atlantic Pact: it scraps the Charter and returns to the balance of power. It commits us to a new arms race I beg the Government to find some way before it is too late to come back to the Charter of the United Nations ... to be conciliatory and moderate in their attitude, not to be rushed or stampeded into recrimination, not to put their faith in armaments, but in a wise and conciliatory policy. It seems to me that this point illustrates what I believe to be the truth about Zilly - that he is not in the least a Soviet stooge or a fellow traveller (though there are, of course, some points of Soviet policy which he approves and which coincide pretty closely with our own Labour Party policy). He is primarily, and passionately, a United Nations man. I am also, personally, convinced that, whatever his errors of judgement or indiscretions in the past, he will now make a genuine effort to be amenable to reasonable discipline - that he will, as I think he said, "count a hundred before speaking" (and will not think it necessary to speak at inordinate length and in a way offensive to his colleagues). Unless we do make radical changes in our international policies, which means foreign policy first and defence policy as a consequence of that, we are going to be on the rocks financially and economically, because this country cannot support anything like the present defence budget and at the same time supply the resources, not only in money but in technicians, and in manpower, and machinery, and the rest, which are needed to modernize our economy, to increase our productivity, to expand out exports, and to fulfil the noble and ambitious social programme to which the Labour Party has set its hand. Not only was the EEC launched as part of the cold war policy that had produced NATO. Its constitution, the Rome Treaty, was framed under the influence of the great cartels, combines, monopolies and holding companies which have dominated the life of the Six since the war. The Rome Treaty allows planning and even rationalization for greater economic efficiency, provided there is no interference with free competition, but rules out planning and public ownership geared to social purposes. 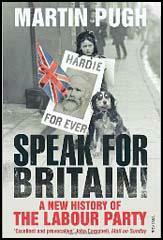 In short, that in the EEC it is 'yes' to State capitalism and 'no' to Socialism. This whole defence debate and the Defence White Paper are shot through with nostalgic illusions and nuclear and world military power hankerings and posturings ... The most depressing thing about the debate is the assumptions on both sides that we can go on indefinitely for years and years with the greatest, costliest and deadliest arms race in history. It will not work out like that and we must put our energy, will, purpose and policies into transferring the mutual relations of the great powers from the balance of power, as expressed in the rival military alliances, to their obligations, purposes and principles of the UN Charter ... We are no longer a first-class military power. But we could be a first-class political power and a first-class force for peace. It was impossible to fit Zilliacus easily into any known political category whether as extreme left winger, fellow traveller or crypto communist. In the eyes of some he appeared to be, at times, one or all of these things, but somehow he managed to elude precise definition as any of them. His immense fecundity of ideas overflowed all over the place, carrying him into excesses of unorthodoxy which he could defend with elaborate logic as being in strictest accord with the true Socialist canon. He was always convinced it was the others that were out of step. Zilly was in many ways the greatest international Socialist of my time. It is for that reason, and only for that reason, he earned the distinction of being refused a visa to the United States, and being refused a visa to the Soviet Union, and of being expelled from the Labour Party all within the same year. He never gave up fighting for the principles of the United Nations, based on the all-inclusive covenants of the Charter, no matter who opposed him, whether it was Ernest Bevin or Wall Street or Stalin. He was completely devoted in the best sense to the socialist causes which are the basis of peace. In a way Zilly was a non-politician. Most people who didn't know him personally but knew him only from reading what he wrote and reading about him, would think of him pre-eminently as a politician, but he really wasn't. He was a man of political ideas, but he wasn't very good at politics. The tactics, the ritual dances of parliamentary procedure and the order paper, were in a language that wasn't contained within the eleven he spoke. They were all foreign to him and when it really came to the tough stuff and the in-fighting I sometimes thought of Zilly as a child walking around a jungle of man-eating animals. That's why he was more than once such an easy victim for the hatchet men. Zilly was preeminently an analyst, perhaps unparalleled as a political analyst, and perhaps even more than that a teacher, a great teacher, and not only those like myself of his own generation learned at his feet, but the next generation of people in our movement derived a great deal from him and many of the new, younger men we have had in the House of Commons in the last three years know a great deal of what they know because of what they learned from Zilly. It always seemed to me that Zilly's conflict with the world was not political opposition or moral indignation but the detailed exasperation of a gifted and experienced man who saw the fallacies of history and who saw all the libraries of human experience unexploited and unused, with power always in the hands of the clumsy people. I often used to wish I had an intelligence like his so much greater would have been my understanding, and then I sometimes was glad I had not, so much deeper would have been my disenchantment. I am grateful, nonetheless, that in that busy, good life he had a little time to include me. There was nobody to compare with him. Inquest on Peace was in my opinion the best book of the whole of that time. It was written from his deep knowledge, but it was written by a man who wished to prevent a world war. Long before the Churchills or Edens ever lisped the words collective security, Zilly understood it and was campaigning for it, and if Zilly's advice had been taken there would have been no Second World War, no Auschwitz, no Buchenwald, no Hiroshima or any of the other agonies that we have subsequently endured. He also had, we should not forget, a marvellous gift of burning invective which he would unleash on the heads of all deserving candidates, and there were many available. Sometimes when I heard him in the House of Commons pouring out his anger, I almost thought there was a streak of aesthetic delight in the way he did it. He wanted the job to be done as well as possible and it was right that it should be so. I will say no more because reference has already been made to some of the incidents in his conflict with the Labour Party, some incidents which were inevitable but some incidents which are so deplorable that some of us will never forgive them and never forget them. After the world war he had striven to prevent, he became a major exponent of the ideas and mainsprings of policy accepted by the Soviet Union. Sometimes charges were made against him on that account, that he was a spokesman for their policies. This was never the case. Zilly was an independent man the whole of his life, everyone who knew him knew that, but he knew more of Soviet policy than the rest of us. He was the most skilled and experienced interpreter of what made Russian policy and what actuated Russian policy. He set about, in 1945, to stop the third world war. He devoted all his energies to that purpose. Almost the last speech I heard him make was the one he made at a meeting of the foreign affairs group of the PLP about Vietnam and he raised the whole issue to a different plane than the other speakers could do.